Please join us tomorrow, Wednesday December 12 from 3:30pm-5pm in Campus Center 3540 to hear a panel of four alumni and one hiring manager discuss how they have been successful in their careers. Students can earn one MAP mile from engaging in this opportunity. Are you concerned about making the big transition from being in college to embarking on your full-time professional career? If so, you’re not alone! Come to this workshop to hear tips for success and advice from UMass Boston alumni who were in your shoes not so long ago. There will also be a brief presentation regarding the things that you need to consider in transitioning into your new career. Don’t miss this opportunity to speak with our alumni! The CM Office hopes that everyone is well and ready to take their finals! Best of luck to all students. Still have an advising hold? Need help registering for spring 2019 courses? 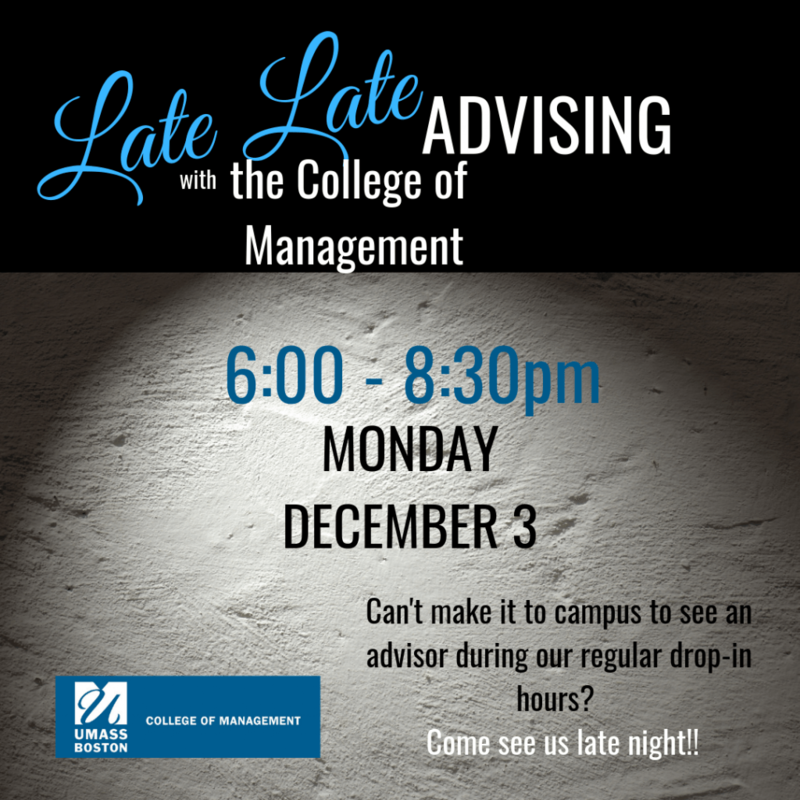 Come see an advisor late night!